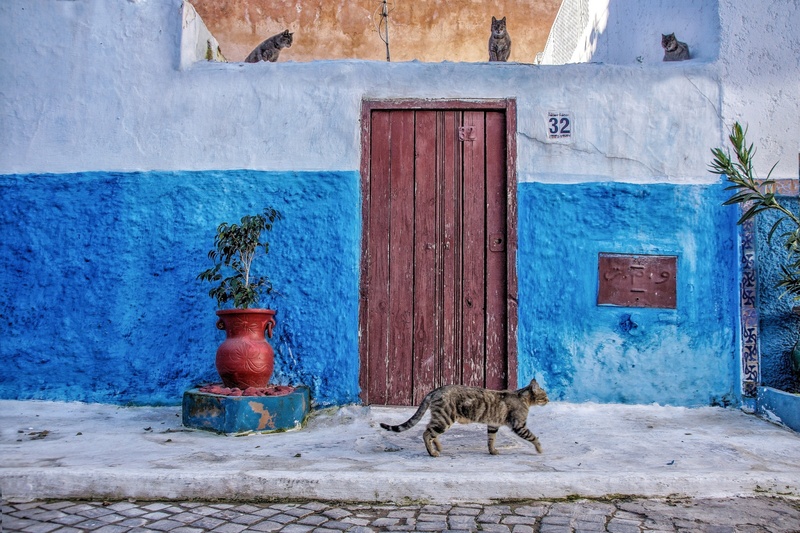 The cats of number 32.. An urban view from Rabat, Morocco. Fès, Morocco.. The under construction site of leather tanneries of Fès..